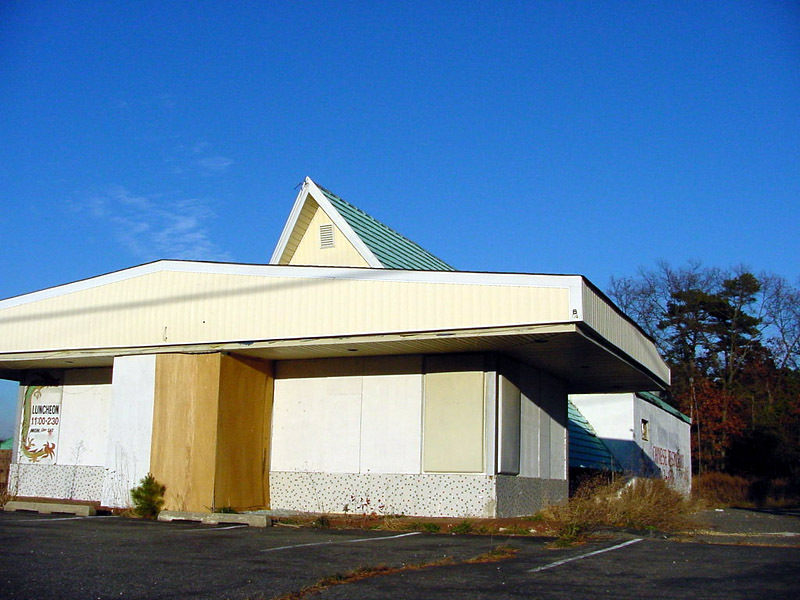 This was Happy Family Chinese restaurant I used to work at in Howell on route 9. 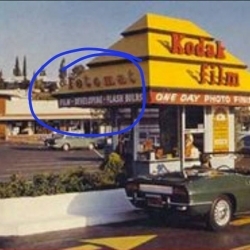 It was taken over by someone else later and renamed Sesame Inn, and was later demolished in 2002. 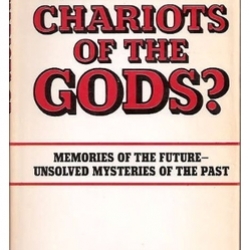 In July 1981 a very historic and important event occured in Madison, Wisconsin, USA. I did whatever I can to get there the minute I got wind of it. I really racked my brains to find a way to be there. Well let me explain what happened in this video for you. I was reading the other day and I remembered this event suddenly so I decided to share with my wonderful blog readers here. I thought I’d let you know what I was trying to do at 15. 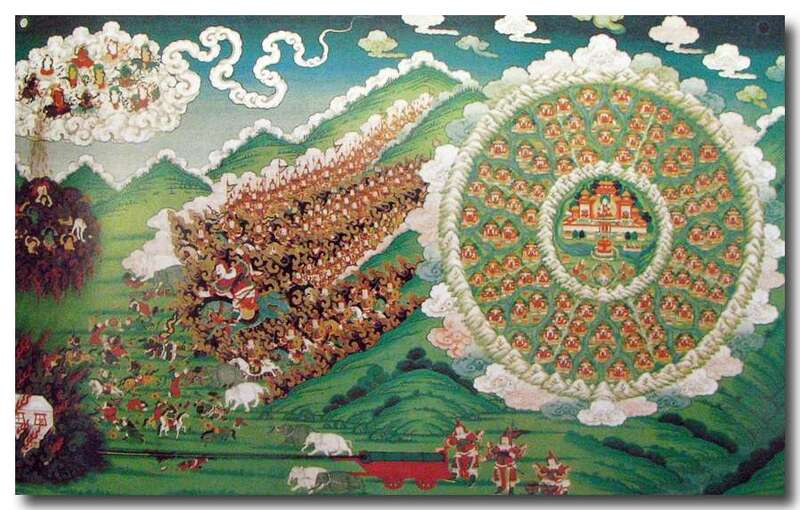 Thangka depicting the enlightened King of Shambala (who is a master adept of Kalacakra’s practice) emanating from his Kingdom into the world to bring dharma when ethics decline. 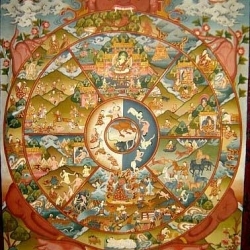 It is said those who practice the Kalacakra tantra creates affinity to take rebirth in this enlightened society of Shambala which exists on this planet. 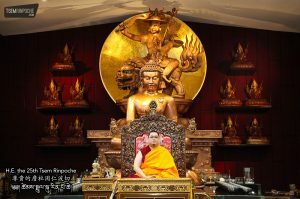 This is the first time I watched the video about Rinpoche’s attempt to go to Madison and attended Kalachakra initiation by HH Dalai Lama the 14th. I was very touched with how hard Rinpoche worked to go to that event although at the end, Rinpoche could not go due to lack of parental permission and was very disappointed because of it. 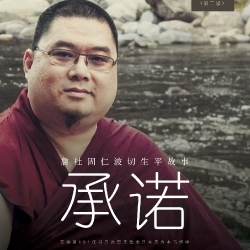 While listening Rinpoche inspiring story in video, its a precious teaching to us. Rinpoche is truly work hard no matter how to stepping nearer to nearer Rinpoche goals just with main purpose of benefit others by Dharma. This is so meaningful. “Don’t give up, focus, and you will succeed.” When we bocome dissappointed in ourselves or others it is the point in time to contemplate and encourage oneself towards strengthening resolve to do the right thing, Reaching through the dissappointment towards the truth and not give up on ourselves or others, even if this means we pray for them or ourselves….keep the faith…as they say. Thank you Rinpoche for sharing your prior experience to teaching us.Rinpoches’s story inspiring me that although we get fail at start,we do not lose hope,we should go all the way with strong determination,we will achieve the goal finally and we do not hurt others by breaking our promise to them. It was all perfect. I had the money to travel to stay and so on and I thought “Now I can do real practice. I will have a real Tibetan guru and not one of those western yoga-soccer-moms who think of themselves as enlightend cause they drink chai tea all day long.” And I would even meet someone else from the internet who is a practitioner. So I looked for the requirements like Lamrim-practice and so on. I had that and I was really happy. Then I was told the other guy can´t make it because Rinpoche says you have to be there for the whole weekend and he couldn´t make it on friday because of a concert. I thought “ok, it´s a bit sad but it´s ok”. I read everything about tantra and I also read that there is often taken refuge before the initiation which was one of requirements so I sent them an email to make sure that there was refuge before that. They told me they are happy because I am so honest but there is not. So I looked everywhere for a possibility in taking refuge. No chance until March. I was down. I didn´t know what to do for days. Finally I continued practicing Lamrim thinking “When I´m really good at this I will benefit from the initiation much more next time”. So I continued dharma practice and talked to the guy who couldn´t make it either and he always asked me questions: “what are those realms people are talking about ?” “It´s in the lamrim, you should have had to know this at initiation” “what are the 3 types of practitioners ?” “Read the lamrim !” I was always explained to him after that but I started to get angry. Then he started talking “oh Rinpoche is traveling so much and he´s so old. 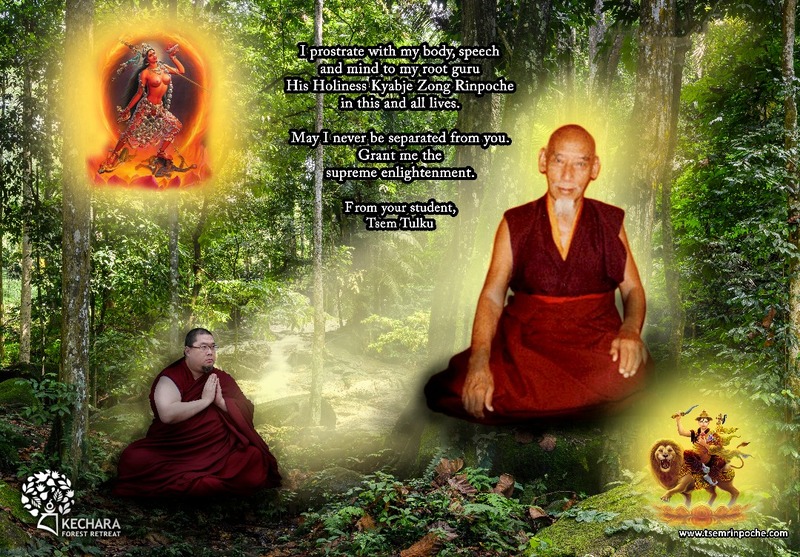 I hope he doesn´t die until I have initiations” I got really mad and thought “Don´t you dare to talk my Rinpoche into the grave !” His name and dead are simply not supposed to be used in the same sentence for me. And after all that mess he was still able to top it. He went there, knowing nothing about lamrim, got the initiation and started complaining about how poor the sadna and the explanations are. 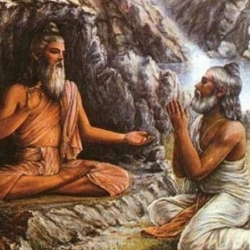 I´m admiring that guru very much cause I seem to have a strong karmic relationship with him. I already explained that in the chat. When I saw his picture I thought “you´ve seen him before. He´s very nice and he can teach (or taught, this got somehow mixed in my mind) you a lot). Until today he did not see me or hear from me because you can´t simply contact him. He´s always traveling and so on. So I know how Tsem Rinpoche feels although he had much more practice than me at that moment and was much more able and supposed to get the initiation. Whenever I read or hear about Rinpoche’s life, it will always tell me that there are signs for things that are happening to us. Facts about somethings that science just can’t explain. This story has helped to straighten out some thoughts that I had, and understand the way of life even better. Like how are some obstacles placed in our life, why we would not be able to do something even though we have so much faith and determination in doing so. Thank you Rinpoche for sharing something so personal to all of us, helping us to clear our minds. I guess like with most people, I have made promises I did not keep and in return received the same from others as a form of retribution. Of late, Rinpoche has been giving teachings and talks on developing integrity. I take this as the fundamental necessity for me to pursue and practice dharma. Thank you, Rinpoche, please live long. Thank you Rinpoche sharing short teaching. This video inspire me that how important of ” PROMISE ” ,if we keep broken promises and at the end will hurt someone, they don’t trust us anymore. I will keep remind myself to prevent this pain experience happen on me. When I heard the part on Rinpoche’s parents finally decided not to let Rinpoche go for the initiation and teaching, and he was saddened on the decision. I was like I am the kid, the kid that cry and cry, and disappointed because people broke their promise to me…It hurts so much even just listening to the story that passed so many years ago, even I am not the victim. I will remember this experience, remember not to break my promise so to avoid people we love or who love us being hurt. I will remember the this words as well: “You may not always get what you really want at the time you want it, don’t give up hope, don’t dispair to the point that you ruin your future chances, keep up the hope, work towards it, make the determination strong, focus and achieve it because it can be achieved”, whenever I am low in energy and going to give up. 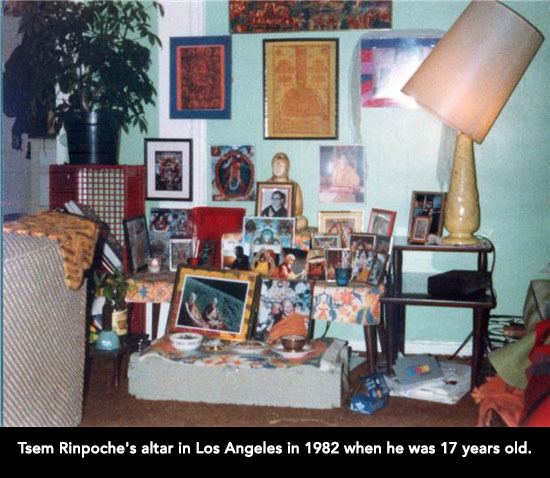 The disappointment and broken promises that Rinpoche had to endure as a teenager is truly disheartening. However that despair and painful experiences did not deter Rinpoche to pursue the passion for dharma. 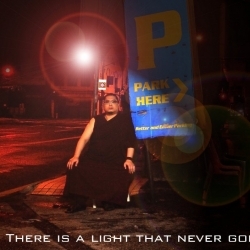 Rinpoche’s real life experience of hardship for dharma is truly inspiring. We must not lose faith or let our disappointment dragged us down, but to push forth to achieve our goals. Thank you, Rinpoche, for giving us that inspiration to move on and never give up no matter how big the obstacles are. 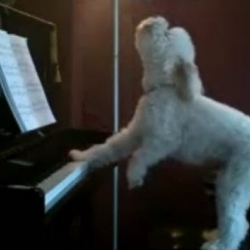 This is probably one of the best videos I’ve ever watched! 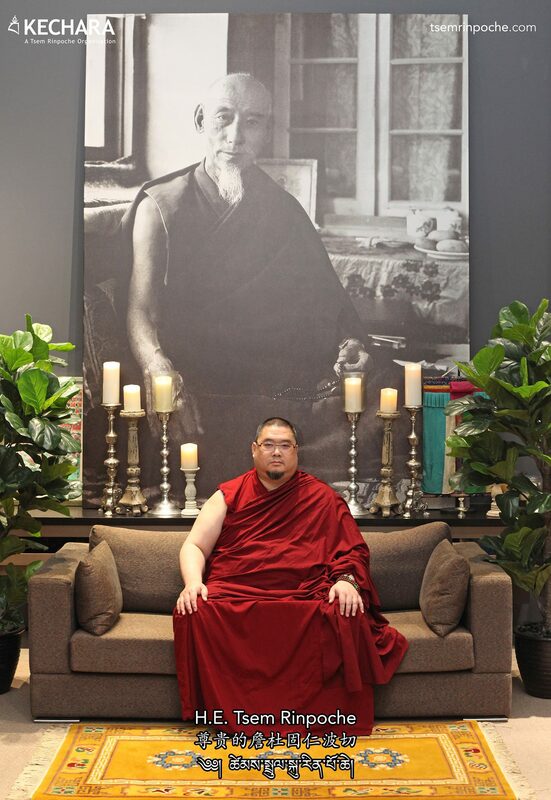 It was captivating, and it touched upon an intimate time in Rinpoche’s life. There was one part, Rinpoche mentioned that while listening to Rinpoche’s parents talking back and forth from outside the hallway, Rinpoche was chanting Palden Lhamo’s mantra, whilst wishing that Rinpoche’s parent’s mind would turn and allow Rinpoche to go for the initiation. I think that many people pray for something while praying, and when they don’t get their desired outcome, they blame or lose faith in their protector – or in the Dharma altogether. 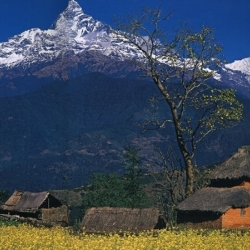 Unfazed, a few months later, Rinpoche ran away from home to pursue the Dharma all the way. This story serves as a great teaching to never lose faith, but to instead continue, be determined and persevere on your spiritual path. Such a good story to listen to. AWESOME stuff. thank you for the very heartfelt story that Rinpoche has shared with us, a very personal angle of Rinpoche’s life. In an environment where promises are broken almost on a daily basis, i believe that many people of my generation are just numb to broken promises and hence most of them tend to do it to others without even noticing in the first place. Broken promises are very damaging to anyone especially to children. Good to know more about Rinpoche childhood story and how Rinpoche craving for Dharma during young ages, in the story, Rinpoche always remind us to be integrity, never give empty promise or words to others. Thank you Rinpoche for giving this teaching to us. 1. If we do not get what we want when we want it, do not lose hope, be persistent and determined, we will achieve our goal eventually. Most of us give up easily, we have to train ourselves to have strong will and work hard for the thing we want. 2. Keep our promises. We hurt people when we do not keep our promises. Therefore, do not just make promises lightly, especially to children. 3. For Dharma, Rinpoche went all the way even though he was only a 15 year old boy. Rinpoche put down his ego to ask for a job from the restaurant, it must be due to Rinpoche’s sincerity, the owner gave him a job. Rinpoche once again is using his personal experience to tell us if we are persistent, determined, go all the way, we will get the result. If Dharma has helped Rinpoche to get out of difficulties, to move on in life, to be a person who benefits so many people, Dharma can do the same to us too. No matter what happens, DO NOT give Dharma up! 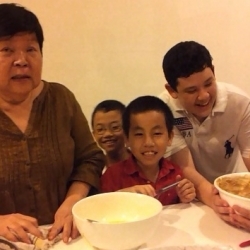 This is a wonderful recollection of Rinpoche’s childhood passion and it is really neat that Rinpoche is able to share with us and the amazing fact that Rinpoche remembers so much detail. I think Rinpoche is amazing in the fact that Rinpoche had always been consistent from then till today. It seems that Rinpoche’s passion for Dharma was not from this life because at such a young age, Rinpoche already had this in him. Being in America, Buddhist influence is at its weakest and yet it has taken root in Rinpoche’s heart right from a very young tender age. 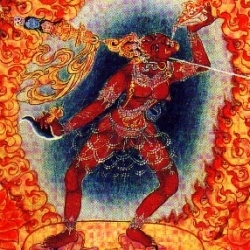 This is a typical sign of a Tulku, or a reincarnation of a great Tibetan master. There’s no way, that could have been implanted in Rinpoche’s mind because his parents were totally against him practicing so intensely. That in itself shows how deep is Rinpoche’s conviction is and this along with the amount of obstacles Rinpoche went through to practice the Dharma. 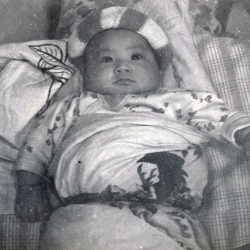 This makes every story of Rinpoche’s childhood and coming of age, a Dharma inspiration. When one door is closed, another will be opened. We can make this happen by indomitable will and determination.That is what Rinpoche show us in this most touching and inspiring story. For Rinpoche , the goal has always been Dharma. 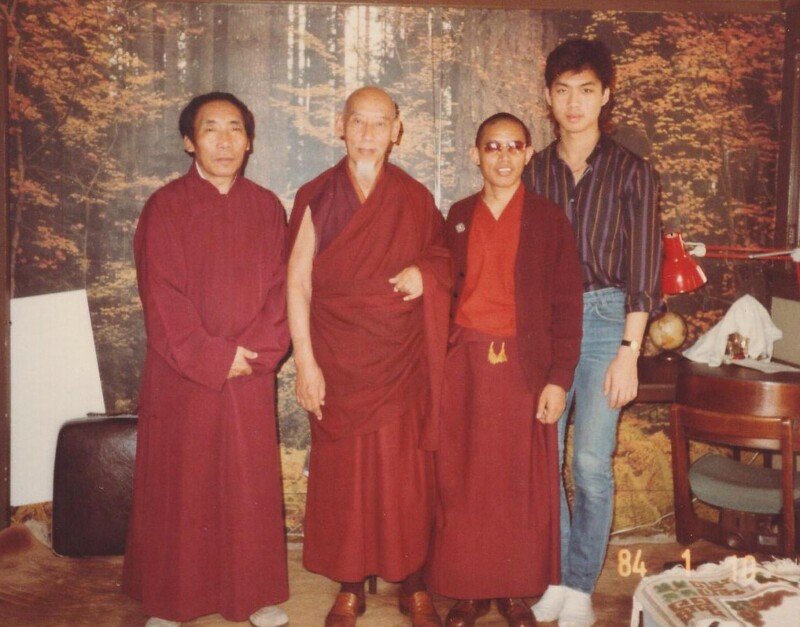 At the young age of 15, Rinpoche already wanted Dharma so much. He was willing to work so hard daily at the Happy Restaurant so as to be able to have enough money to go for HH Dalai Lama’s Kalachakra empowerment and initiation. Then came the greatest most heartbreaking disappointment , when his parents refused to go with him and he couldn’t go without being accompanied by them.This breaking of a promise by his parents affected Rinpoche deeply. From this story, comes two powerful teachings. One is that keeping a promise is most important. When you break a promise, the hurt you cause goes so deep that it leaves an indelible mark. It makes a strong dent on the other person’s respect of you. It is also a matter of integrity. The second teaching is that one must not lose one’s determination to achieve one’s goal(especially when the goal is Dharma), even if one’s hopes had been dashed after having put all of one’s efforts(as Rinpoche had done)into it. Rinpoche said “one thing led to another”,and it was the same year that he left New Jersey to go to Los Angeles and in LA he met Zong Rinpoche. He also met HH Dalai Lama and later he was ordained. To me, all this followed in due cause(as Rinpoche had wanted)because Rinpoche had not let his disappointment overwhelm him and he had just kept “his chin up” and determination going. 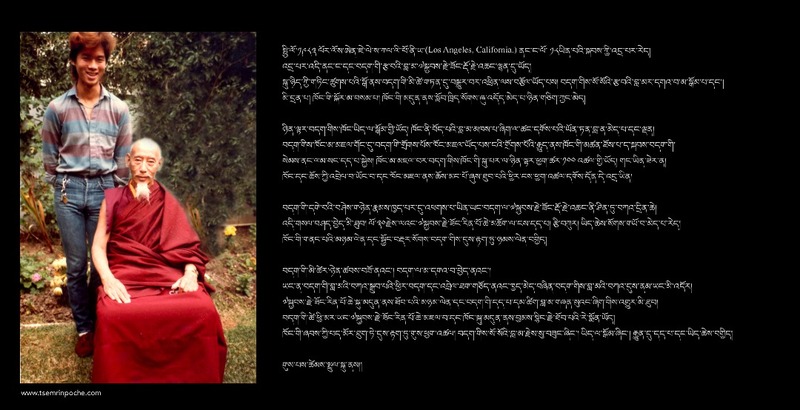 Thank you Rinpoche for this lovely story. Thank you for the sharing Rinpoche. 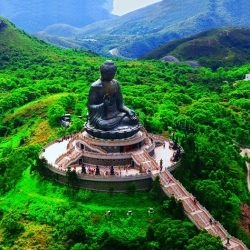 Your story was very inspiring as you have very strong determination to learn Dharma and you would do almost anything to get the chance to attain it.Most of us would just give up even at the thought of the obstacle of the distance to reach there and some of us would just procrastinate to get it even it was within reach. When someone disappoint you in breaking their promise you would not bear grudge but know how to and when to let go.If all of us could do this, then we would know how to handle our disappointment and frustration better. Thank you for the reminder Rinpoche,we should think positively in all situation and treat others what we would like others to do onto us. Rinpoche has really went through a great deal in order to receive the Dharma let alone practice with the freedom at home. In this case, for Rinpoche to even go for the Kalachakra initiation, we hear from Rinpoche how much effort and hard work he has to go through in order to attend Dharma or to associate anything to do with the Dharma. 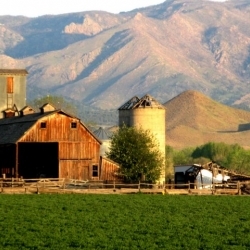 For some of us, going to the Dharma centre is a drag in our lives that we put the Dharma and anything associated with it very far away from our first priority. But in life we do have our aims which we wanna achieve and we come by many obstacles which will dishearten us over time. It is normal that we meet with obstacles from time to time, whether in Dharma or no Dharma, as long as we are in this cyclic existence, we will have obstacles and sufferings. Rinpoche’s message here is very clear and encouraging. No matter what comes in our way, we should always look into the solution and not give up hope. Rinpoche did it and not only did he get to meet His Holiness the Dalai Lama but also receive ordination vows from Him. It was due to the kindness of HH Kyabje Zong Rinpoche and Rinpoche’s guru devotion towards his Lamas that makes us who we are today. Hence, if you are feeling a lil down or disappointed, focus on the end result and work your way through it. Rinpoche says you can! Thank you for these spontaneous and very personal teachings. It is incredible to always hear of how strong Rinpoche’s drive for Dharma was, even in the face of so many difficult challenges and opposition from the people who were closest to him, his family. 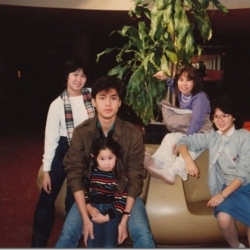 Some of us had the fortune to visit New Jersey and meet some of the family and friends that Rinpoche grew up with. Consistently, they all said the same thing, which is that no matter what Rinpoche was going through at home nobody ever knew about it because Rinpoche would never let anyone know. He always focused outwards, to find ways to make others (his relatives, his friends) happy; he would joke and play and find ways to help them as best he could. So they would never, ever have known how sad things were back at home for him. In fact, it was a surprise for many to hear from us, so many years later, the extent of how bad things were for him at home, with his parents. They would never have known all those years that they were growing up. So it is very true what Martin had said above: “But instead of remaining sore about a bad experience, Rinpoche turned that into a decision not for others to experience the same painful disappointment and to always keep promises.” This is exactly what Rinpoche has done, especially for his students, to ensure that they are able to receive Dharma always and that any disagreements between their families and partners are quickly mended. Whatever Rinpoche did not have, he makes sure his students have. It’s always amazing to hear rinpoche talk of his prior experience and also of people who knew him as he was growing up. They paint a very poignant portrait of Rinpoche, of struggles, sadness and transcendence. The amazing part of Rinpoche is that he never wavered in his determination despite all that he had experienced. 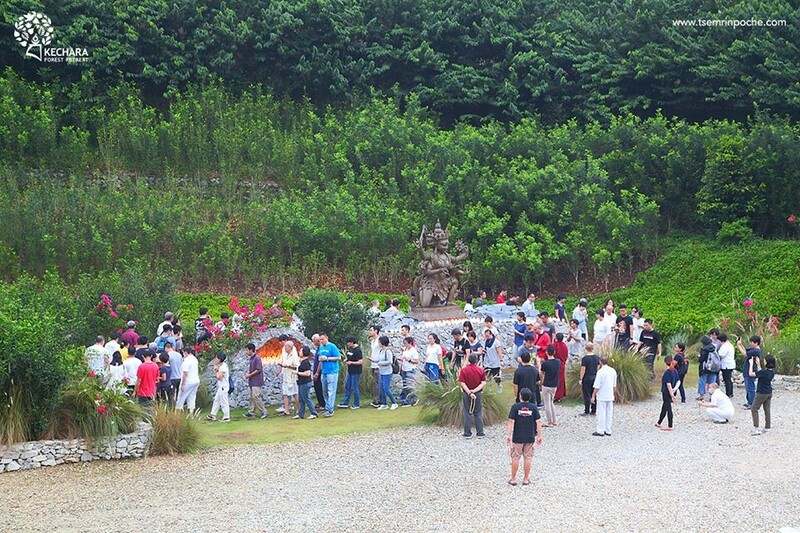 I can see now that whatever immense success that Kechara, his students and Rinpoche experience today is a result of this years of privation. I am sure Rinpoche himself knows this himself. Due to his spiritual practices, Rinpoche would probably have lots of intuition and feelings about the future and what is to come. He has molded his actions so he would be able to benefit as much people as possible. His story is what one would understand as an authentic Tulku incarnation, one that is born to benefit others. A true spiritual and Dharmic lion amongst men! It is amazing that Rinpoche can do everything and anything at the very young age to actually go for Dharma teachings. What is inspiring is that although Rinpoche was only 15, Rinpoche could think so Dhamically and had the strong will to do all he could to attend His Holiness Dharma teachings on Kalachakra, although only to be crushed and disappointed when a promise was broken by his parents. I know for sure I would be crushed as well, because there we many times when I was a kid and I asked something of my parents but was rejected. I can imagine Rinpoche’s pain at 15 how it would have hurt him, plus it was such a big wish and a Dharmic one. When we were 15 what were we doing? We were still playing and trying to pass our exams was all we thought about. Everytime Rinpoche shares with us his pass, his experiences, we can see it was always revolved around Dharma, always something to do with Dharma activities, motivations and the yearning to be close to Dharma is so strong. This only proves that Rinpoche’s Dharma imprints are very strong and of no ordinary. 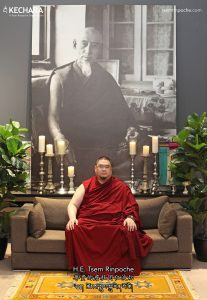 Rinpoche definitely have practiced in many of his previous lives to have such a strong passion for Dharma… so this proves that if we practice well now… our imprints will naturally be there in the next as well. And if we keep doing it, it can only get stronger. Hence this is why Rinpoche always ask us to do our dedications to always be close to the Dharma, Lama and never be parted from it life after life… may we seek the Dharma and practice at a very young age. What impressed me the most in Rinpoche’s sharing is how much faith Rinpoche has to Dharma protectors since He was a kid! Like what Rinpoche told in this video, when His parents were discussing whether to let Rinpoche go to the Kalachakra initiation, Rinpoche was sitting in the dark, trying to listen what His parents were discussing, and Rinpoche kept chanting Palden Lhamo’s mantra, seeking help from Palden Lhama to go to the Kalachakra initiation. Rinpoche was matured at that young age and definitely Rinpoche has very very strong Dharma imprints to know to seek help from the Dharma protector! For Dharma, Rinpoche would do everything. When Rinpoche went to the Happy Family restaurant, Rinpoche just asked for a job and just did it. He earned the money Himself to go to the initiation, He was so determined to make it even thought he was only 15 at that time! Rinpoche explained before what is a Tulku. Tulku is the one who reincarnates back to do Dharma, and how we know a person is a real high Tulku? We see how compassionate, perseverance, generous, kind, etc he/she is, and also how much Guru devotion he/she has for their Guru. Whenever I had the opportunity to listen to Rinpoche’s story, I feel deep sense of respect for what Rinpoche’s determination and this inspires and motivates me. I feel that this video carries two important messages, One is about ‘Promises’ and Second about ‘Holding on to our dreams’. About the first topic, it certainly is so easy to just say out some words not having to think about what one needs to be responsible for later. Promises always sound very good at the beginning, but breaking them makes others’ works a lot more difficult because someone else have to take up our shares and this makes us lose respect. Promises are certainly something that one needs to think about seriously before saying yes. Perhaps Rinpoche’s inability to attend Kalacakra initiation was something that was in Buddha’s plan, because this led you to eventually leave your family and joined a Dharma centre and so that you could really concentrate on what you really love doing. Or, maybe we may say, life is a box of chocolates, we do not know which one we are going to pick. Thank you too for Rinpoche’s ending speech about not losing hope. This is encouraging for all those who need it. Thank you Rinpoche for sharing this short story and teaching. 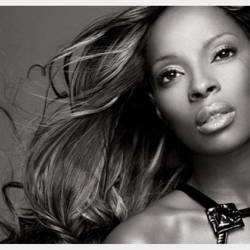 From the clip i understand that determination is the ‘KEY’ to success in order to lead us to our goals. Not many will understand Rinpoche’s goal especially when Rinpoche’s ambition is to excel in the Dharma. Rinpoche’s determination will inspire thousands who is following. Thank you Rinpoche. Thank you Rinpoche. 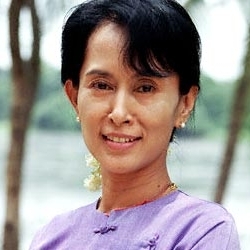 I always enjoy listening to your teachings and sharings as it gave me a lot of encouragement whenever I feel down. I totally agree on the importance of keeping our promises and if we want to acheive something, we should not give up so easily. Michele Marie Thank you so much for this story Rinpoche, which is teaching us quite a few lessons. An important one is to keep our promises and how damaging and hurtful it can be if we do not follow our words. Another lesson is no matter what happen, keep doing our best surrendering with patience until we succeed with our goals. Rinpoche strong determination to Dharma work is very inspiring…no one can stop Rinpoche to do his dharma work, no giving up when time gets hard…Thank you for being such an inspiring example and talking the time to help us with this precious story…infinite gratitude always! That event and disappointment had such an impact on Rinpoche that he remembers it till this day. But instead of remaining sore about a bad experience, Rinpoche turned that into a decision not for others to experience the same painful disappointment and to always keep promises. I could feel Rinpoche’s desperation in wanting to go for the initiation and when it dawned on him that his parents were not going to change their minds, Rinpoche just collapsed into his pillow. The way Rinpoche recounts the story, the anguish was palpable. We have all been in similar situations where we had worked so hard towards something and wished intensely for it, but for some reason didn’t get it. But not everyone comes out of despair with even more determination to attain that goal and at the same time not be bitter about it. Most would just give up, pretend to ignore it as it eats away at them inside. Again, a painful situation was transformed into positive energy and stronger determination. 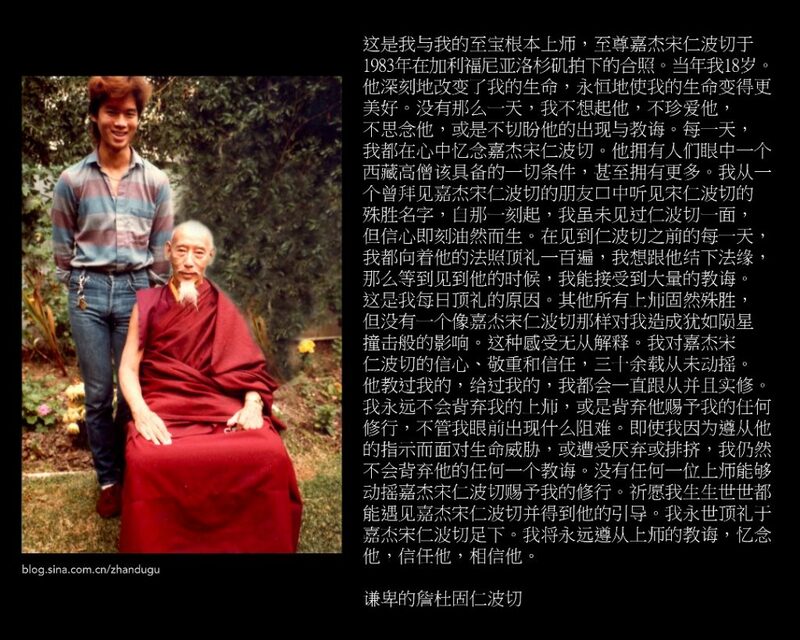 In the end, this determination contributed to Rinpoche leaving home to pursue monk-hood. This is a very inspiring story especially for us who know Rinpoche’s history and it is a reminder that we cannot give up if we are sincere about something. That if we keep pursuing a good goal, we create causes for it to happen. 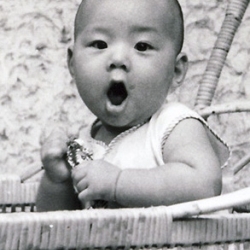 Whenever I read about Rinpoche’s childhood, it always reaffirms to me that imprints exists, our past lives exists, what we do strongly in our past life will directly affect what we will feel more inclined strongly in this present life. And that the mind, no matter what others say, is a continuum. Why do I say so and why does reading about Rinpoche’s life back in NJ really prove this? Well, all I need to do is think back on what I was doing when I was 15, and think what Rinpoche have been doing since he was even younger… The Dharmic imprints in Rinpoche is so strong that I believe it is through Rinpoche’s compassion for the previous life that Rinpoche decided to reincarnate in this state inorder to show us as a living example: Hey Reincarnation exists! and if you keep doing what you’re doing now, that’s what you’ll get in your next life. I really enjoyed listening to Rinpoche’s story and short teachings thank you for sharing. I really wish Rinpoche was able to attend the initiation that too would have been a really wonderful story to hear. I’ve done part time jobs as a waiter or a busboy and it is really hard work, and it requires a lot of patience sometimes when you get really nasty customers, but I’m sure none of that would have stopped Rinpoche from achieving his goal. 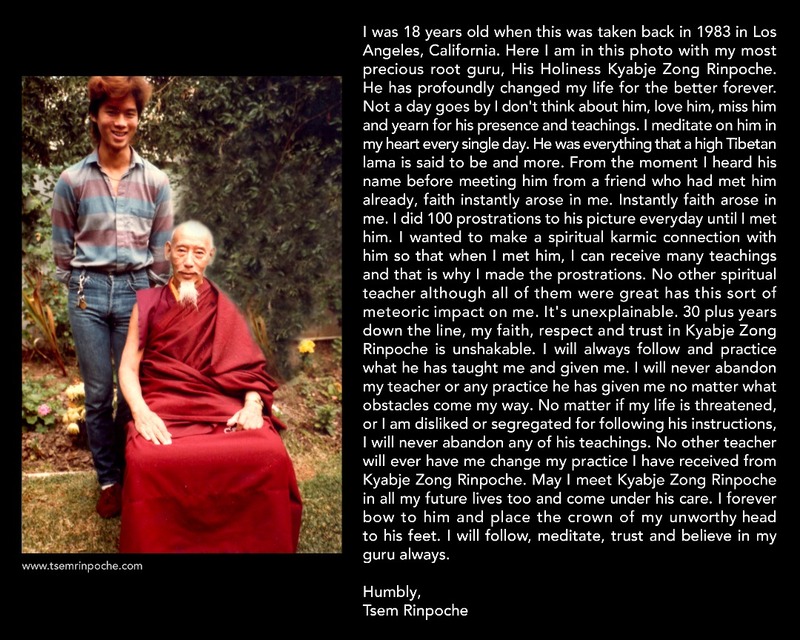 Rinpoche’s story is really inspiring for me to work hard for my goals and keep up the hope. I get really discouraged easily but hearing Rinpoche’s short teaching would no always remind me not to give up. I don’t like hearing false promises from people too, it really hurts and disappoints to the point where you would sometimes lose respect and trust in that person. You always want some one to keep their promises so it should be the reiterated back towards others. I try to always keep my promises and when I can’t I make sure I make up for it rather than just apologise and not do anything. But I have to admit, I don’t have a strong mind so my mind slips very easily. I really hope to continue to keep my promises I make to people. Thank you again for sharing your story and short teachings Rinpoche, it was very refreshing to listen to.